I am lucky enough to have a guest blog post on some of the challenges of working remotely from a remote working colleague: Monica Duke. Monica is a software developer at UKOLN. 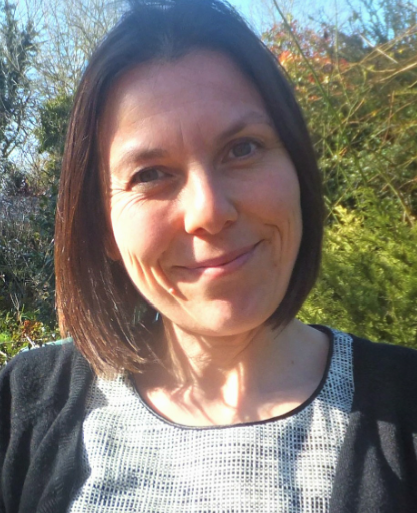 She has worked on a number of projects dealing with search and discovery services using metadata, including the JISC-funded IMesh Toolkit, the Resource Discovery Network (now known as Intute) and eBank UK. She has technical experience of building systems to aggregate and work with metadata from repositories, and is currently contributing to the development of the aggregation service that supports the Intute Repository Search. Enjoy her post! Hope it doesn’t make you too hungry! I started working at UKOLN in 2000, so I’m of the same vintage as Marieke. We were both new, and roughly the same age, and equally clueless ;-). And we’re both still around when others have fallen by the wayside (or moved on to greater things!). That must say something about our gritty determination, which is a quality that I find is needed for home working. Or perhaps the ability to work flexibily and move our base outside of the UKOLN offices has helped us both to persist with careers that we might otherwise have had to give up on. I moved to working remotely in 2004, when my husband changed jobs, and we moved from Bath to live and work “up North”. I am based in a small market town outside Leeds. It is a pretty, historic, little place, and I can walk to the centre and back in about 25 minutes. We have an award winning Bakery and several small shops, local butchers, charity shops etc, as well as the empty shell that was Woolworths. It is lively on market days, and has an attractive, newly-built, inviting library (alas without free wireless, so it is not an option to move my work there when I want a change of scene). Some of the challenges Marieke mentions in her blog seem very familiar. “Whatever shall I have for lunch?” does tend to dominate my morning thoughts. I used to have a very organised and balanced lunch box (sandwich, yoghurt, piece of fruit) as my staple when I still left the house every morning to go put to work. Somehow that combination doesn’t work for me anymore. Favourite fallbacks are a vegetarian pasty-type bake with wholemeal pastry from the aformentioned Bondgate Bakery – which has the advantage of feeling all virtuous what with being filled with lentils ‘n all. I went through a phase of being addicted to Brie and Cranberry toasties – which are lovely, but do require that I have Brie and bread in the house. I don’t think I have ever eaten a pot noodle, so I haven’t fallen to those depths of desperation (yet), although some might consider pasta with Bovril to be much more disgusting. My cupboard never seems to be out of pasta or Bovril, and Bovril has added Vit B, dontcha’ know? On a serious note, my general level of healthy daytime eating has definitely suffered while I am based at home. I find the temptation of snacks and a lack of other outlets to relieve boredom has nudged my eating (and therefore my weight) beyond the level at which I am comfortable, both for aesthetic and well-being reasons. On the plus side, I do not have to worry that my office clothes don’t fit any more. On the topic of fitness, exercise is another aspect related to health and work-life balance that I have yet to find a solution to. The University of Bath does have excellent facilities and free classes at convenient times. Although I have never been an exercise nut, I was much more fit when I did occasionally get to these classes, so they must have been doing more good than I realised. Walking to and from work did help as well, even if it was just to the bus stop, although I was once fit enough to walk down quite frequently, (and more rarely even up), the hill atop which the University sits. I also indulged in the odd game of squash with my husband, or joined the ladies’ football team in their training sessions, all on campus. These University-based activities had the advantages of being easily available, easy to get to, mostly free, and easily fitted into the working day, so that precious time was spent on the exercise rather than getting to and from the location. Oh, and we also played numerous games of lunchtime pool, during student holidays when the tables would be deserted, but I suspect that didn’t burn any calories. Working remotely has allowed me to stay in my job which for me meant less upheaval and for UKOLN also helped with staff retention and continuity on the eBank project, which was my main area of work at the time. However, losing the University facilities from my doorstep is definitely one of the disadvantages that I have felt keenly – I hadn’t quite appreciated how good going to work was for my health! Suggestions for eating healthily and getting more exercise into the day while working at home (and no walking to Bondgate Bakery alone doesn’t count! ), or offers of free skipping ropes or gym membership, on a postcard please!